When planning outings, do you ever find yourself in a rut? Do you sometimes wonder, what else is there to do in my city? 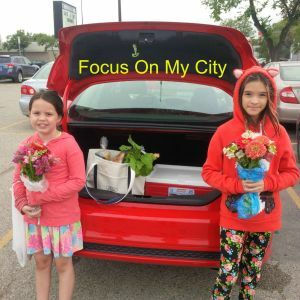 Ford put out a challenge to FocusOnMyCity – and boy did we ever have a whirlwind 48 hours exploring Winnipeg! We got to drive the 2015 Ford Focus 1.0L SE – and for a smaller car it sure is a lot of fun to drive. It was standard, which has now become my favourite way to drive. The super cool thing they have is the Auto Start-Stop feature. I had no clue what that was, and it was quite the surprise. When the car has stopped, like if you’re at a long light in neutral, the engine shuts down. Talk about a fuel saver! As soon as you go back in gear you’re immediately ready to drive again. As you’ll see further down, we drove this car everywhere, zipping back and forth across the city for 2 full days….and we never saw the gas gauge move at all! It tells you how many km’s you can do til the next gas station and we stayed at over 600 the entire time. So, how did we explore the city? We decided to get out of comfort zone a bit and try out some new places, mixed in with some family favourites of course. We kicked it off friday afternoon with a trip to our local farmers market in St. Boniface. After that we headed downtown to check out a comic book store. The kiddo happily picked up some Dr. Who comic books and it’s somewhere we will be adding in to our routine now. Friday night I did a big Costco trip with a friend (fit my largest cooler in the trunk to store the perishables) and my entire Costco haul plus the cooler fit nicely in the trunk. Which was great, since we headed for a mom’s night out to Original Joe’s for dinner. Saturday morning we were up and out and about early – another trip to a Farmers Market – it is the season of course! After that we all went geocaching which was a first for me and the kiddo, and glad to have some friends along to teach us how. 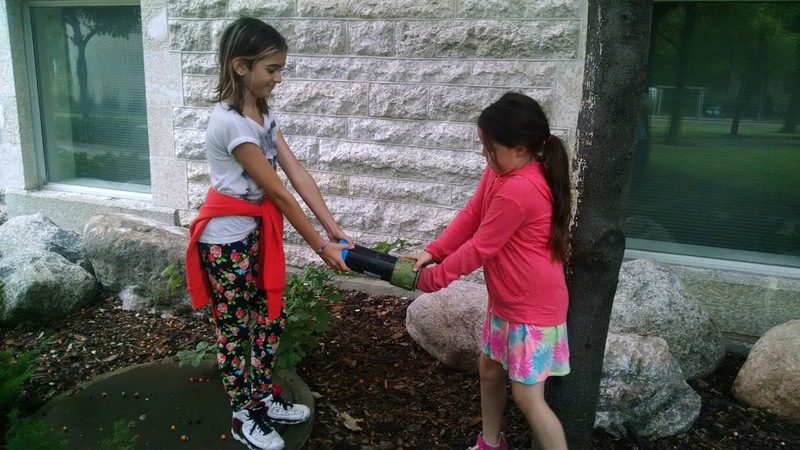 I thought geocaches were hidden underground, that we would need to bring shovels along. Ends up that is a no-no, they are placed in pipes, logs and all kinds of neat spots like that. A great idea for something fun to do as a family – I know we will be doing it again for sure. After that a group of us headed to the exchange district to our local Board Game cafe and spent an afternoon playing games and having a blast. Keeping up with the fun game theme, we headed across town to Lasertopia for an evening of laser tag and video games for the whole family. Since there were a lot of rain storms the entire weekend – Sunday we just zipped about town, and decided what the heck? 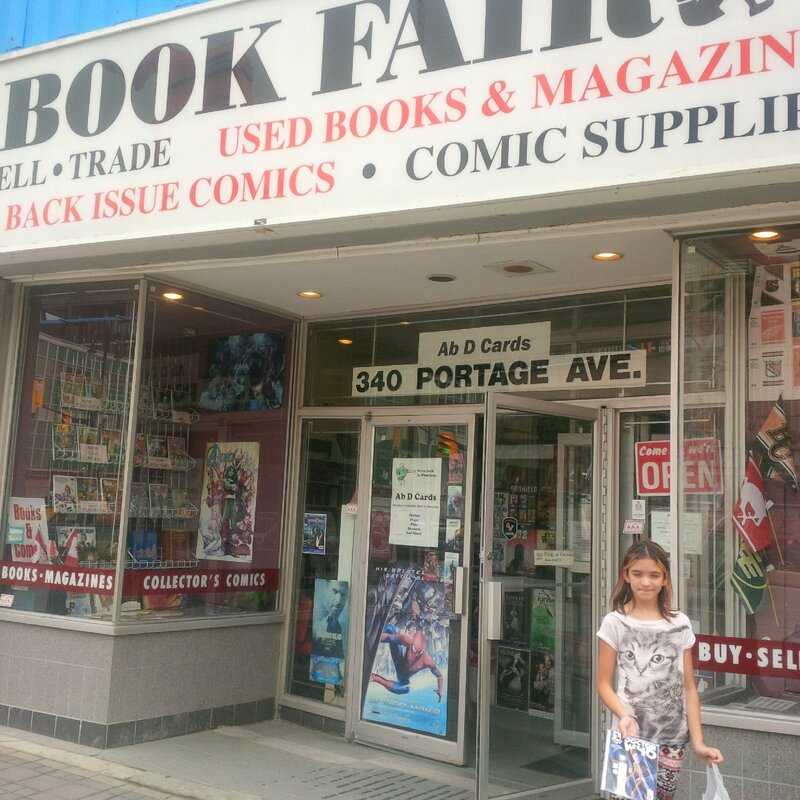 Let’s check out another comic book store and headed down to Henderson Hwy. We had a blast, found some new places that we will be checking out again and some new activities to do together. All in all a great weekend! 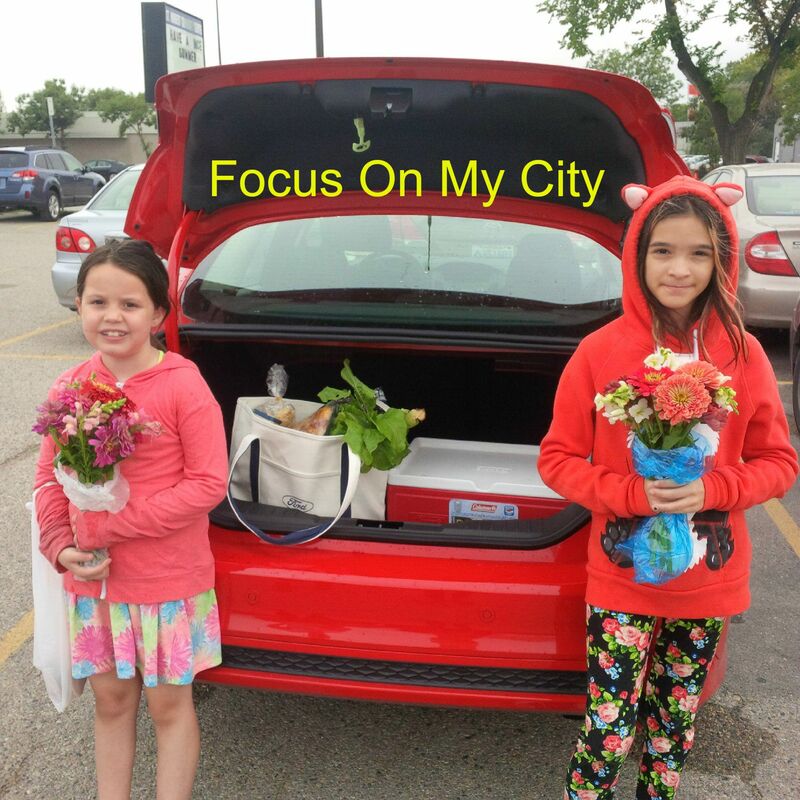 We had a blast driving the Focus – it was perfect for parking in all kinds of super tight spots, zipping about the city and was big enough for all of us to fit comfortably in. And the fuel economy, can’t rave about that enough! With the high price of gas, it’s great to drive a car where you’ll rarely ever have to stop in at a gas station ever again. I found it super fun and easy to drive, it had the right amount of power for me. I found it easy to change lanes, park – pretty much everything. One of those super easy cars to drive, where you feel super comfortable and at ease right away with no learning curve. What places would you pick to Focus On in your city?